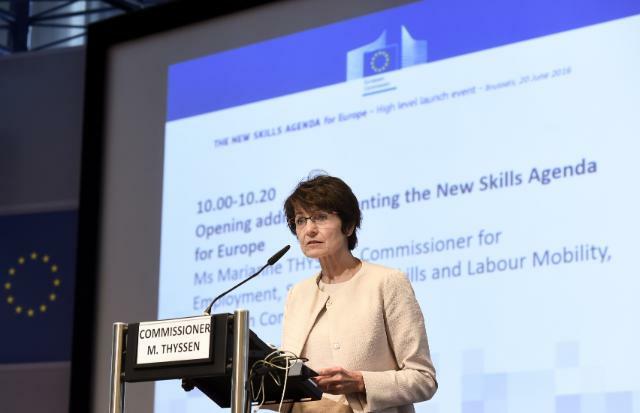 On 10 June, European Commissioners Thyssen and Katainen announced the adoption of a new and comprehensive Skills Agenda for Europe, officially launched on 20 June in Brussels. The aim of this new policy framework is to ensure that the right training, skills and support is available to European Union citizens and to equip them for good-quality jobs and help them fulfil their potential as confident, active citizens. It will ultimately boost employability, competitiveness and growth in Europe. The LLLPlatform would also like to stress that not forgetting the current migration flows, the agenda includes provisions for non-EU citizens and their inclusion in education and the labour market, such as developed in our recent Position Paper on the New Skills Agenda, in which we call for national action plans and investments to tackle urgent challenges. Increasing skills levels, promoting transversal skills and finding ways to better anticipate the labour market’s needs, including based on dialogue with civil society and the private sector are essential to support inclusive and cohesive societies and sustainable economies. 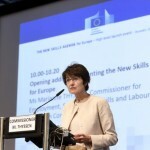 The Agenda calls on Member States, social partners, the industry and stakeholders to work together to strengthen human capital, employability and competitiveness by improving the quality of skills and their relevance for the labour market, making skills more visible an comparable and improving skills intelligence and information for better career choices. Concretely, the Commission proposes 10 actions to be taken forward over the next two years, some of which were launched on 20 June, such as the Skills Guarantee.